Hello there. Thanks for stopping by. I am a passionate maker, teacher, traveller and art lover living on the north coast of New South Wales, Australia. People have always said that this area near Byron Bay is a special place and one that speaks to the very heart and soul of a person. It speaks to me. I left a life and a job in Melbourne to find my own little piece of paradise at a time of great upheaval. With the support of some exceptional and inspirational women of all ages and paths, I found something really precious....my passion. I fell in love with indigo blue. Blue is the colour of peace and tranquility and also the power of a wild ocean. It can be cool and aloof and yet emotional and teary. It's crisp and clean and sophisticated but can be grungy and utilitarian too. I fell in love with indigo blue for its rich, and yet subtle, colour range and it's connection to authentic and indigenous cultures all over the world. The story of indigo connects us to other times and places and hands of those who labour to dye the perfect blue. And the process itself is magic. Though there is a synthetic indigo that has been in use for years now, there is a resurgence of interest in the real, natural indigo. 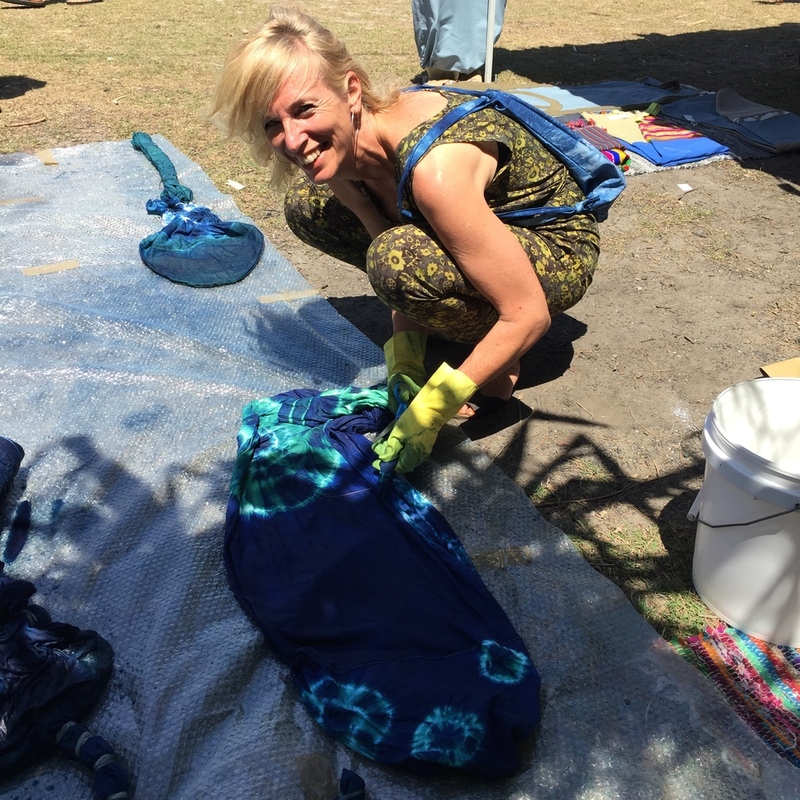 And I never would have guessed that I would be indigo dyeing surf board bags at the Byron Bay Surf Fest! My practice continues to change with each new experience. I use indigo powder that has been extracted from the leaves of the indigo plant. It is dry, and totally insoluble in water until a proper dye vat is prepared. Some dyers use chemicals to do this but I am working with the most natural ingredients to create a vat that is virtually harmless. It is a very involved process and can be frustrating at times. Indigo dye vats seem to have a mind of their own and can be fickle friends. To dye small pieces of fine fabric is so much easier than the large linen quilt covers I dye. But once I had fallen in love with that blue .....I just wanted to dive into it! So now I can and you can too. 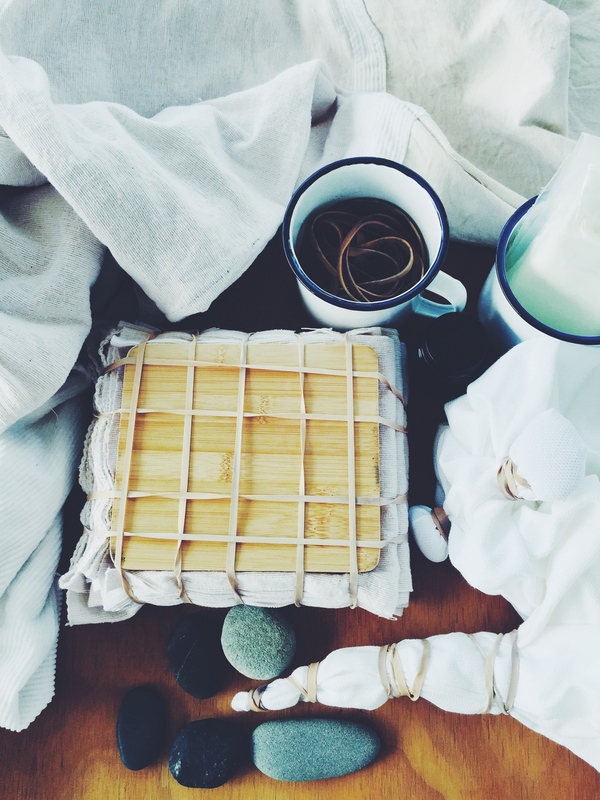 Karin is an experienced art and craft teacher and loves to spread the magic of indigo. Workshops exploring shibori and tie dye with indigo, organic indigo dye vats etc can be arranged.